This insight changed my heart. It took my eyes off myself and helped me place them where God wanted them all along: on others. When my children were small, I distinctly remember thinking: I wish everybody didn’t need me so much. As a mom of a baby, toddler and preschooler, every waking moment was filled with someone needing something. My children needed me to love them, feed them, change them, keep them safe, teach them, play with them and so much more. The demands left me grateful for the incredible blessings, but exhausted. But then, things changed. The years skipped past, and now I find myself in a very different situation. No one needs me like they once did. It’s not just my kids (now grown), but we’re in a different church where I haven’t found my place. And I wonder, Does anyone need what I have to offer any more? Recently, I had a little pity party about that. I was pulling weeds, feeling quite alone and cried out to the Lord about my thoughts. As tears streamed, the Lord spoke to my heart very tenderly. He showed me people do need me. In fact, they need me quite desperately. First, my adult children still need me; it’s just different. They need me to cheer them on, not coach them like I used to. My husband needs me to be his cheerleader, too. My unsaved family needs to know the love of God, lived out through me. Actually, everyone in my extended family needs love shown in practical ways. My friends and co-workers, especially those going through hard times, need encouragement and support. And then there are people I don’t know personally, but who read our devotions or First 5 teachings through Proverbs 31 Ministries. They desperately need to know God loves them. They need to know their life matters. There are the people I interact with on a daily basis, and there are the people I may never meet. There are women around the world who need to know they are not forgotten. I wonder how many others might need encouragement today. Perhaps my single “sisters” wonder who needs their love. Perhaps my older sisters might wonder if they have anything left to give. Perhaps my sisters suffering from disability or illness feel unnecessary or they’re lacking value. Perhaps my sisters in faraway countries question if they were born in the wrong place to make a difference. May I speak truth to your heart? Someone desperately needs you today! They need you to go to their front door with a hug (and coffee), send a note, make a call, text, comment on social media. Some need to hear the life-saving good news of Jesus. An affirming word at work. Some need to be reminded they have value, and they have a profound purpose. Some need to be encouraged and prayed over and loved. Everyone needs to be treated kindly and with respect. No matter our age or stage of life, we are all needed in Jesus’ kingdom. We need each other. What kind of revolution could we start if we chose to think of ourselves as desperately needed? Could we open our eyes to the great needs around us and be representatives of Jesus to those others? 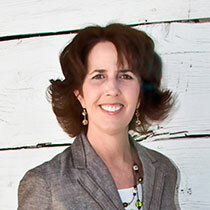 Would you join me today in looking at life differently? Would you join me in starting a revolution of Jesus’ love? Lord, thank You for loving me first. You loved me when I had nothing to offer. As Your love fills me up, help me see others through Your eyes and be Your hands and feet in this world. In Jesus’ Name, Amen. Will you give to the woman who longs to be seen? Who craves more biblical understanding? If we can bring the powerful truth of Scripture to even one woman living in isolation, we believe it's worth it. That's why we're working hard to put God's Word in the hands of more people all over the world ... and we need your help! 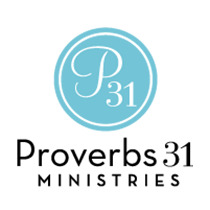 Will you consider making Proverbs 31 Ministries a part of your giving this year? Give now. Has your heart been hurt and you feel unneeded? Spend some time today in prayer asking God to remind you of His love and purpose for you. Identify two or three people who need some encouragement today. Now go and reach out to them.